This is the second public program of Still Hazy After All These Years, a series marking the 150th anniversary of the start of the Civil War sponsored by ASHP/CML in collaboration with the Ph.D. Program in History at the CUNY Graduate Center. In this program, a panel of noted scholars, educators and public historians confronts the gap—indeed, the seemingly widening fissure—between scholarship and popular understanding of the Civil War in the classroom, on screen, in fiction, and at historical sites. Panelists will consider which myths about the Civil War have persisted in the 21st century and why, and how history education can narrow the distance between popular perception and scholarly interpretation. Jim Cullen is a history teacher and writer whose books include Essaying the Past: How to Read, Write, and Think about History (Wiley-Blackwell, 2009); Imperfect Presidents: Tales of Misadventure and Triumph (Palgrave, 2007); and The Civil War in Popular Culture: A Reusable Past (Smithsonian Institution Press, 1995). Cullen serves as an editor for the History News Network and Common-place , and also blogs regularly about history and culture at American History Now. Stan Deaton is a public scholar, writer, lecturer, and the Senior Historian at GHS. He also serves as managing editor and book review editor for the Georgia History Quarterly and has published essays and reviews in several southern history journals and magazines. Deaton also interviews other writers and historians for Georgia Public Broadcasting’s radio program Cover to Cover. Gary W. Gallagher is a professor of history who has written or edited over two dozen books on the Civil War, including Causes Won, Lost, and Forgotten: How Hollywood and Popular Art Shape What We Know about the Civil War (University of North Carolina Press, 2008); Wars within a War: Controversy and Conflict in the American Civil War (University of North Carolina Press, 2009); and The Myth of the Lost Cause and Civil War History (Indiana University Press, 2000). His forthcoming book, The Union War (Harvard University Press) will be published in March 2011. 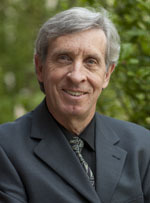 Scott Nelson is a professor of history and an award-winning author. His books include A People at War: Civilians and Soldiers in America’s Civil War (Oxford University Press, 2007), which provides a social history of the Civil War from the perspective of ordinary people; and Steel Drivin’ Man: John Henry: The Untold Story of an American Legend (Oxford University Press, 2008), which examines one of the Reconstruction era’s most famous and least known figures. Nelson also has co-written Ain’t Nothing But A Man (National Geographic, 2008), a young adult nonfiction account of his investigation into the myths and realities of John Henry.